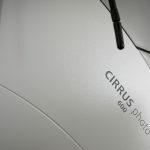 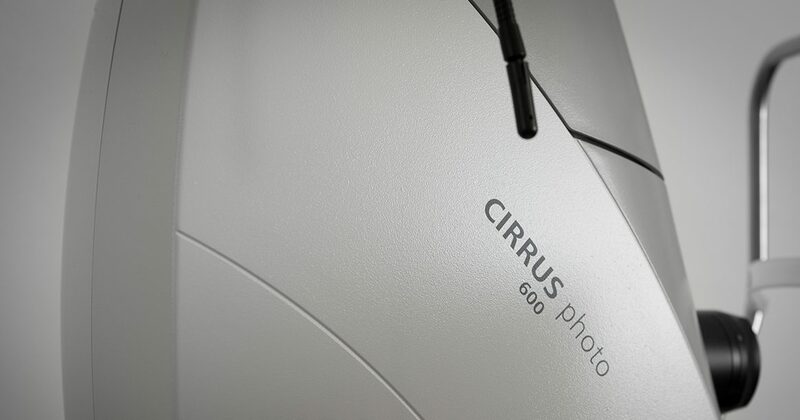 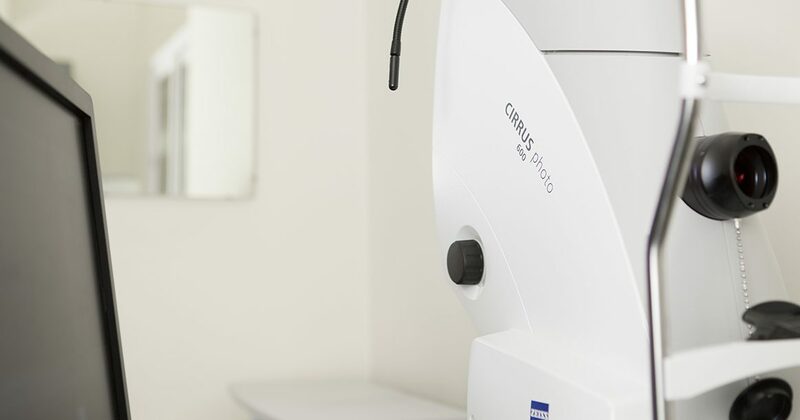 We are pleased to offer OCT scanning using one of the latest Zeiss instruments. 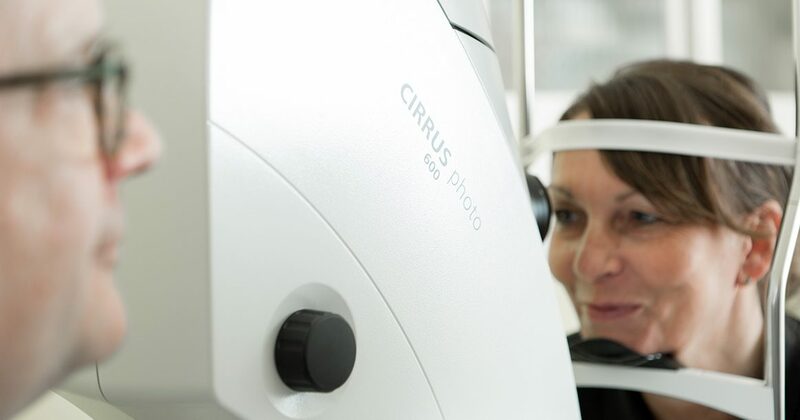 We can image structures within the layers of the retina under great magnification. 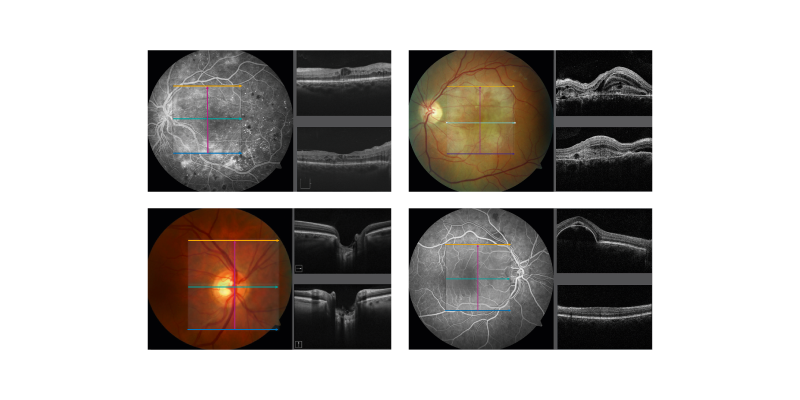 This enables us to confirm diagnosies or for example to differentiate between wet and dry macular changes. 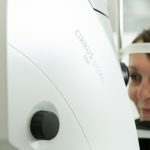 An OCT scan is different from an eye photograph that is sometimes taken by doctors’ diabetic clinics or other opticians. 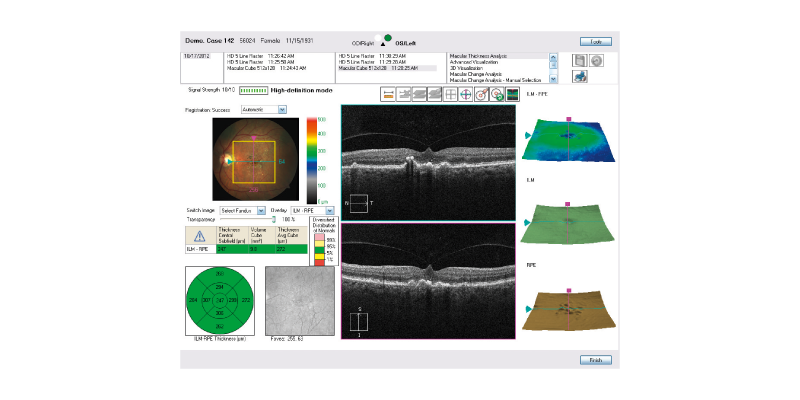 The OCT scan is able to examine eye health below the eye’s surface, is very quick to perform and is completely painless and non-invasive. 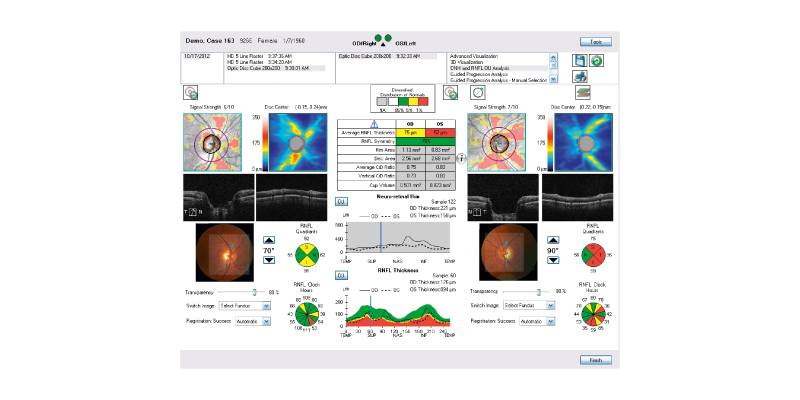 Results are available instantaneously and it is a great way for patients to gain a better understanding of their eye condition. 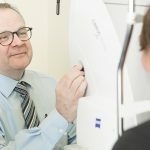 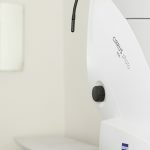 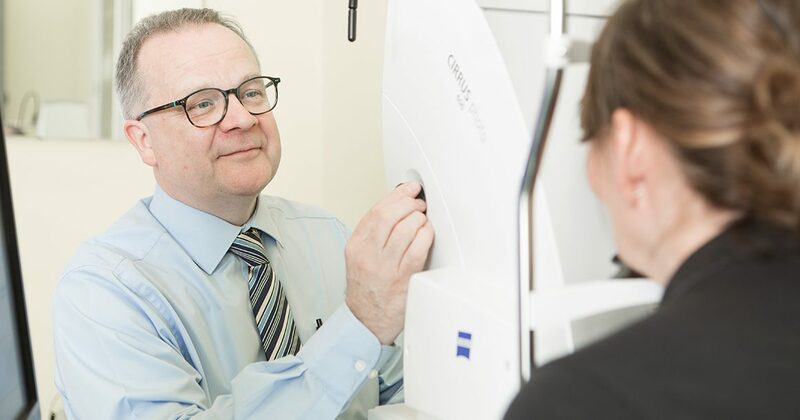 Regular eye scans is a must for those that are taking Hydroxychloroquine or Chloroquine to control their Rheumatoid Arthritis and highly recommended for those in whom there is a family history of macular degeneration or one of the Glaucomas.